Customise with your won text in centre. Ideal for marking letters, packages, boxes with a polite reminder to leave a review. Starting from 50mm to a massive 290mm size. Start designing the size and we will automatically price it. Sizes above 150mm will have a large industrial use metal ink pad included in the price for ease of use and D handle rubber stamp for perfectly even stamping. XXL Size Rubber Stamp engraved deeper to ensure a clear impression. Mounted on a wood Block or Acrylic Base with Wooden D handle. Max Impression Size of this stamp to fit metal ink pad 200mm x 100mm. If you require a much smaller or larger size please contact us for a custom request. Pack of 10 Hessian Bags. 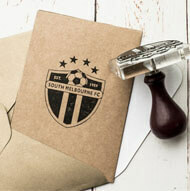 Ideal in conjunction with our custom rubber stamps to create stunning packaging, gift bags and more. Ideal Non Gloss for easy application of ink . This Amazing Kit is ideal for small packaging requirements like jewelry, keepsake items and more. Makes a great statement about your brand and products. 1 x Ink Pad ( Versa Craft) Black is recommended to help your logo and text stand out. Requirements for this stamp - Bold logos work best, small text and small fine detail artwork does not work due to thread count of the hessian bags. Ideal kit for take-away shops, greengrocers. Eco friendly Paper Bags with your own logo. This is an ideal and economical way to help your brand stand out. Bring an affordable, yet extremely professional touch to your Branding with our Luggage Tag Rubber Stamp Kit. Branding does not have to cost hundreds of pounds, this simple solution will make your boxes, bags, jars or anything you attach it to stand out with your custom logo + text. Bring an affordable, yet extremely professional touch to your coffee shop paper take away cups. Branding does not have to cost hundreds of pounds, this simple solution will make your paper coffee cups stand out with your custom logo + text. Simply stamp the Kraft sleeves then put the sleeves onto your blank paper cups. Having your logo on your takeaway cups helps enforce your brand and adds value to the coffee. The kit includes: one rubber stamp; a choice of stazon ink and 50 coffee cup sleeves. Effective Branding starts here with our custom Coffee Stamp Kit. Mounted on extra thick foam to help with the curve of the cup. 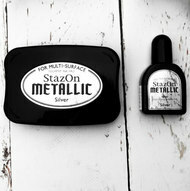 This kit also includes StazOn Ink in a variety of colours. StazOn ink is a permanent, quick drying, water resistant ink that once dry will not smudge of wipe on the hand. If this solution is not for you please message as we can also supply stickers that ideal for coffee cups instead. This Very large 150mm x 80mm rectangular shape Rubber Stamp bag kit is an ideal large size choice to make a statement and make sure your brand gets noticed . Suitable For a business logo and Text. This ideal branding solution is cost effective and makes a great professional impression of your brand. For a business logo and Text. This ideal branding solution is cost effective and makes a great professional impression of your brand. Choose from unlimited sizes: If you are not sure what size you require you can try our Auto size tool (Size 5) or email us with your artwork for a free proof [email protected] or click the chat button so we can send you an instant proof. This ideal 100mm x 80mm rectangular shape Rubber Stamp bag kit is an ideal large size choice. Suitable For a business logo and Text. This ideal branding solution is cost effective and makes a great professional impression of your brand. Are you a small Business owner looking for an affordable solution to help advertise and make your brand stand out? 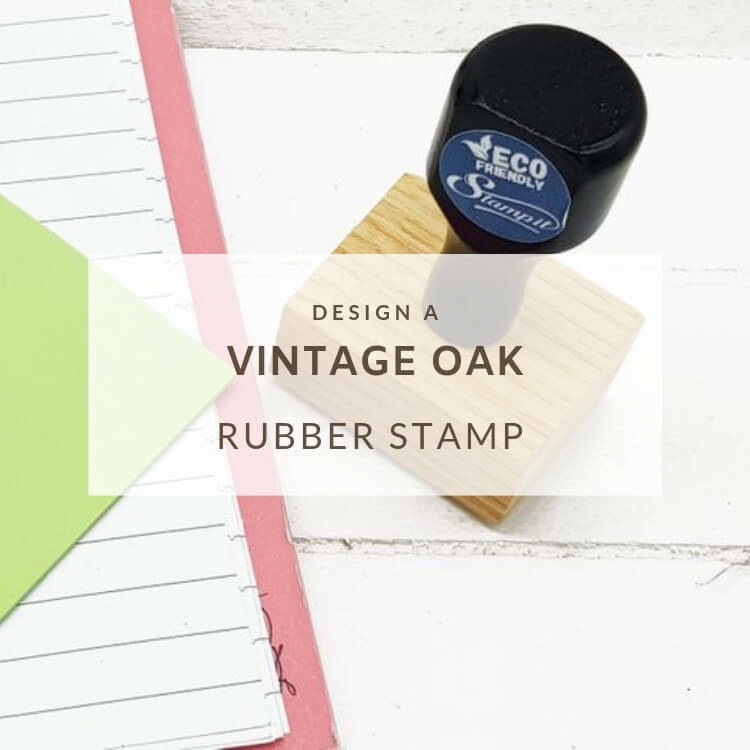 These Unique Rubber stamps are perfect for marking onto paper bags, a cost effective way of printing your own unique branded bags. Perfect for Coffee Shop owners, Florists, clothing shops, Boutique shops and much more. Choose from unlimted sizes: If you are not sure what size you require you can try our Auto size tool (Size 5) or email us with your artwork for a free proof [email protected] or click the chat button so we can send you an instant proof.